Since this is the 100th post of the year, I thought I should put some thought into it....okay enough thought, time to write. Looking back, I see that I have written some good stuff longer posts at the start of the year before I started posting nothing but pictures and quick blurbs. It was a very busy spring and early summer at work but now that project has died down and I'm at my wits end trying to make the day go faster so I can get home to my not so new house. We had a tornado warning Sunday...with an actual tornado to back it up. Growing up in the city all my life, I don't recall ever having a tornado come through here. I know we did the tornado drills back in grade school and I suspect they were also combined with air raid drills so I probably don't know what to do. Nightingale grew up on a farm so you'd think she'd be the one to know what to do. We mostly just hung out in the basement waiting for the Bears game to restart. I know a lot of people lost a lot of things and a few even lost their lives. That said, once the tornado passes, there has to be a better way to air the news without preempting every show on TV for 8 hours to repeat the same 5 facts over and over again. I am grateful that we didn't experience any issues. Last week I got to spend some time in Exciting and Exotic Schaumburg at the Learning Tree training center. it was a virtual classroom and I could have done it from home but going onsite keeps me honest and gets me out of the house. 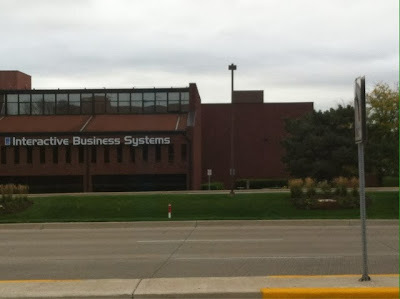 In the summer of 2005, I spent some time in Arlington Heights because of an ex girlfriend who happened to work at the Motorola campus in Schaumburg. She would tell me that when she did take a lunch it was to go shopping. Little did I know that half a decade later I'd be doing the same thing. If I worked in Schaumburg I might be more broke than I am because of all the stores. When I worked at the Big Bucks Law firm a few years ago, my dbag boss sent me to this training course on communication. It was one of those soft skills courses and I asked Anakin why he sent me there. He said it was because he had extra money in the budget that he needed to use up. It turned out to be a blessing in disguise course. Ironically, a short time later I end up working down the block. So hopefully this isn't foreshadowing of things to come.